ROMANCE BOOK PARADISE: Congratulations! 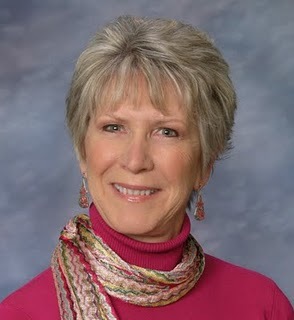 Lynne Marshall's Grand Prize Winner and a Giveaway! Congratulations! Lynne Marshall's Grand Prize Winner and a Giveaway! Woo hoo! We are in a party mood here! As this marks the end of Lynne Marshall's Celebration tour! Last February 1st I ventured out on the trip of my life - a blog tour for Courting His Favorite Nurse my March debut Harlequin Special Edition, and later including my late March e-book release from the Wild Rose Press - An Indiscretion. Without leaving my home, I traveled the globe getting to talk about topics important to me. Some were educational, some were interviews or just-for-fun events like first kisses. I got to tell the blog followers about my soft spot for nurse characters, my favorite premises for books, on and on I blabbed. I mean, I blogged. And you, lovely blog followers, gave me someone to blog to. Thank you so much for following along, for reading, for commenting, for participating in my very first blog tour. I also want to send special thank yous to the wonderful blog hosts for the last two months. Without your diverse locations and styles of websites, I would never have been able to reach out to new readers and cyber-friends. Thank you. I won't kid anyone by saying a blog tour is easy, it isn't, but it is worth every word written into each and every blog entry. My efforts at entertaining and enlightening blog readers have been incredibly well received. I couldn't have asked for a better experience, thanks to Nas Dean's efforts to organize the tour. Thank you, Nas. Along the way, I gave some gifts and books, and to prove I didn't fall down on my end, here is the list of winners. As promised all those months ago, there would be one grand prize winner on this blog tour, (I've decided to add a few surprise items along with the book!) a $25. Amazon GC! and here is the name ...drum-roll please..MARIA POWERS! Congratulations to all the winners and to Lynne Marshall for her earlier title ONE FOR THE ROAD has finaled in another contest in the Mainstream with Strong Romantic Elements category! And to celebrate it she decreed there will be a giveaway of her Cherish Title- COURTING HIS FAVORITE NURSE today! Woo-hoo, I won! Thank you Lynne and Nas it was a fabulous tour. Hi Maria! So glad you noticed the blog today. Thanks for your continued support along the cybersphere. I'll contact you privately about the best way to get your winnings to you. For others reading the blog today - don't forget I'm giving a book away to one commenter! Maria won the grand prize. Hi Jemi - so glad you've enjoyed the blog tour. It is quite an undertaking, and I have spent a lot of time trying to come up with blogs that would entertain readers out there! And a great big congratulations to you for reaching The End!!!! Thank you, Wendy. Can you hear me panting? How in the world did you do one twice as big???? Congratulations on finishing your blog tour, Lynne! And congratulations to all the winners! Congratulations on your blog tour Lynne, I enjoyed your posts immensely and thank you for the book which I won. Isn't it lovely that Lynne came through with the prizes. Congrats to all the lucky winners. Thank you Denise for the award! Thank you to all my lovely friends for coming along! And yes, there's another Giveaway today! I'm one of the winners? Woo hoo. Thank you, Lynne. Congratulations to all the other winners. What a great blog tour it's been. Congrats to all you lucky winners! Nas does a great job, doesn't she? Many successes in the future, Lynne. Hi Maria! I am so glad you enjoyed the posts along the blog tour. I had to wrack my brain to come up with so many! I am also happy to know you have received your book and I sincerely hope you enjoy reading it. Hear hear, Denise! Nas deserves that award. Couldn't have survived the blog tour without her! Thanks for reading and commenting. Hope to see you out in the blogosphere in the future! Hi Medeia - yes! You are one of the winners. I want to give you one of my backlist Medical Romances, so please contact me via my website so we can discuss which one, and whether you prefer print or e-book version. I hope her Internet is holding up! Things are awfully quiet, so as soon as Nas gives me the nod, I'll choose one last winner for a book. Glad you had fun on your blog tour. Congrats to all the winners! Congratulations for the One For The Road's success as well Lynne, and wishing you all the best! Thank you Carol, Laura, and Emily! Congratulations to all those lucky winners! Hooray for all the winners AND a successful blog tour. Doin' the wave. Congratulations to the winner. Great giveaway. Thanks for stopping by - Theresa, Leslie and Clee! Awesome book tour! And huge congrats to the winners! We're going to wrap this up by announcing the winner of the Cherish version of Courting His Favorite Nurse - which is a duo with Lilian Darcy's Daddy on Her Doorstep. Please contact me at my website - to give me your address so I can send this book prize off to you. THANK YOU EVERYONE FOR STOPPING IN AND COMMENTING ON THE FINAL WRAP UP OF THIS BLOG TOUR. THANK YOU NAS FOR PUTTING IT ALL TOGETHER. IT WAS GREAT! Well done, Lynne. Though it was fun for you, I imagine a little rest will be welcome. A big congrats to all the lucky winners! Talli, Lynda R., Deniz - thanks for congratulating the winners. Thanks so much, Lynne :) What a wonderful way to end the week! Congratulations Lacey! 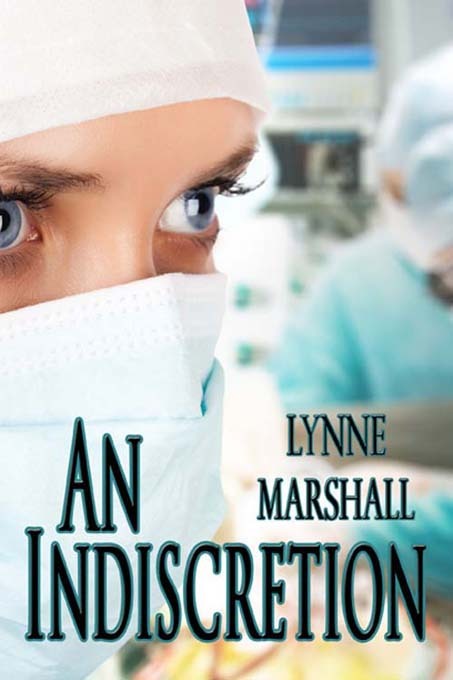 Enjoy your 2 in 1 book with Lynne MArshall's Courting His Favorite Nurse in it! And thank you Lynne, for all these fabulous giveaways and for the chance to take you around the Blogosphere meeting and making m\new friends! Thank you for taking all this time out of your schedule for us! Wow, it has certainly been a busy year so far for Lynne!